Today marks Mariah's one year anniversary with our family. 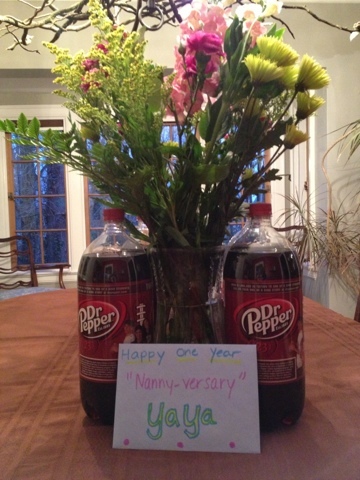 We celebrated this morning with surprise flowers and enough Dr. Pepper to stock the basement fridge. Yay for "YaYa!"